Our most recent summer has been the exception. It’s not very often in Scotland, let’s face it, that you can go to the beach without eventually being driven into the shelter by the wind and rain, where you huddle together, towels wrapped around you like a blanket, fighting over who gets to hold the bag of hot chips. 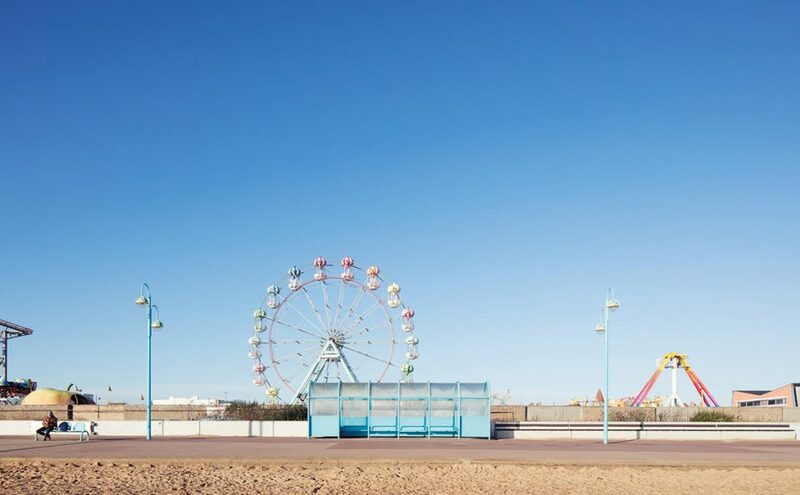 Sure, down south, the coastal climate is kinder, but that dog-eared postcard of cones and windbreakers and goose-pimpled flesh still rings true. 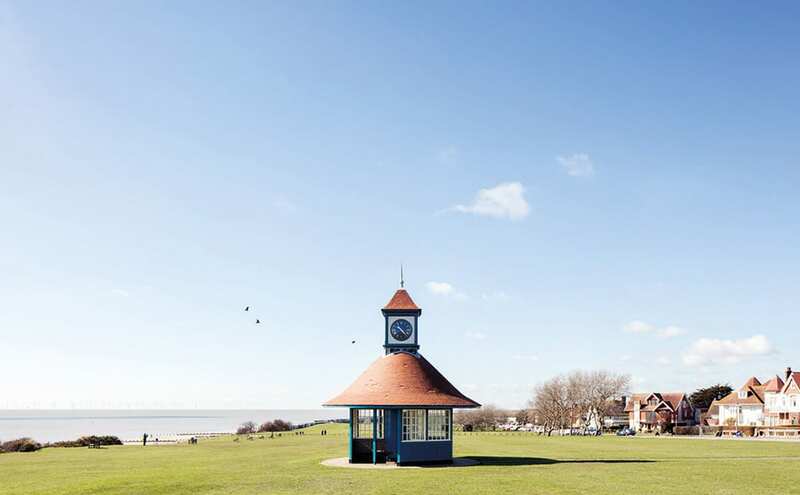 As Victorian railway networks expanded, the seaside, whether Ramsgate or Girvan or East Lothian, suddenly became accessible to city-dwellers, and these shelters from the elements were a godsend. 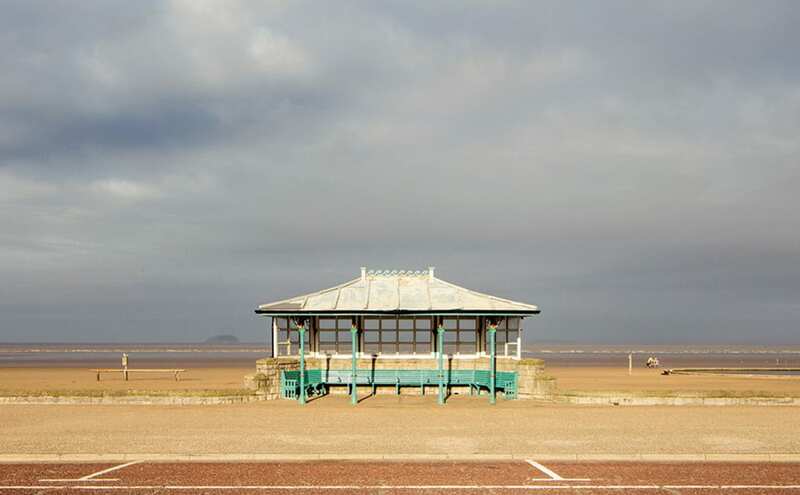 They were the unsung heroes of the British beachfront. 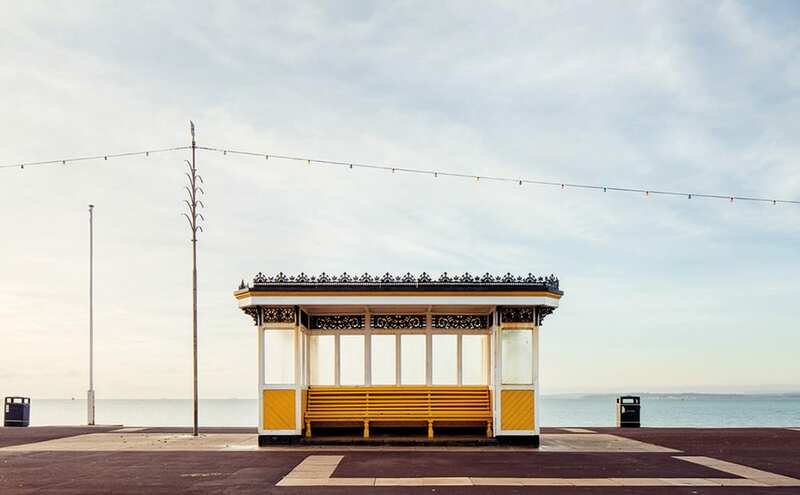 His book documents 50 shelters across the UK, showing them in all their stark, melancholic beauty, instantly evoking memories of childhood daytrips before the notion of boarding a plane for a foreign package holiday became mainstream. 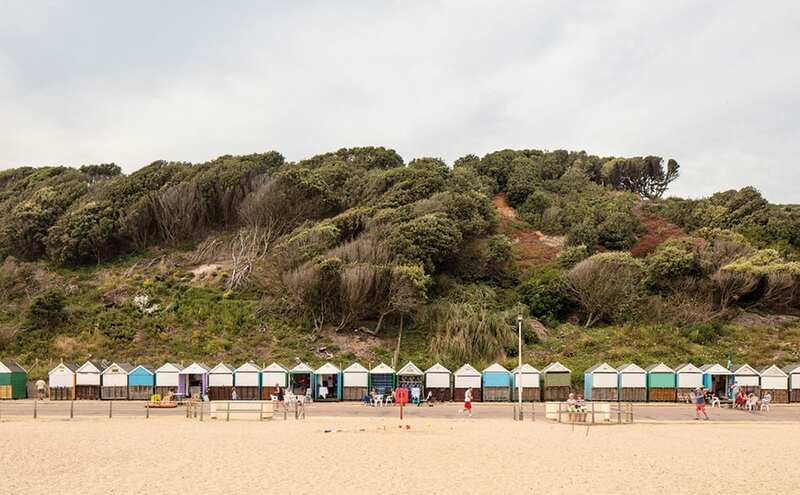 Scott drew up a list of the shelters he wanted to take pictures of, and set out on a journey around the country, aiming to capture a sense of nostalgia that would reach across generations, from kids to grandparents. His selection is as much social history as it is photography, each shelter a snapshot of the potent architectural styles of a century. 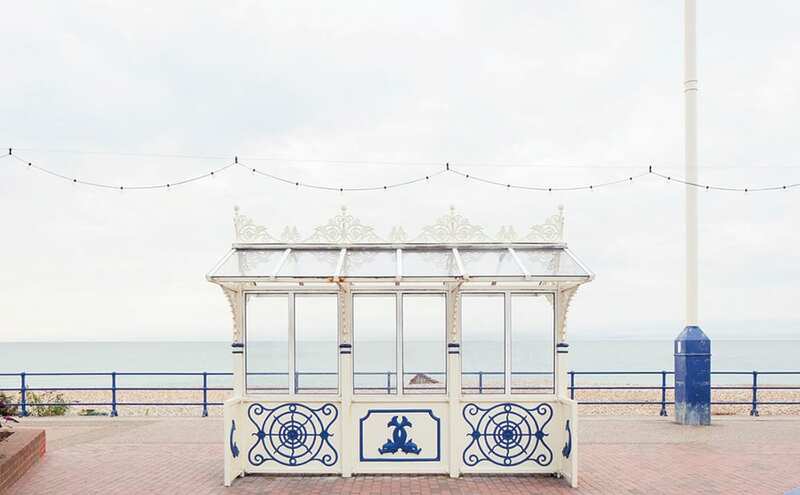 They encapsulate the British cultural idiosyncrasies that mark us out as islanders intent on capitalising on leisure time whatever the weather. 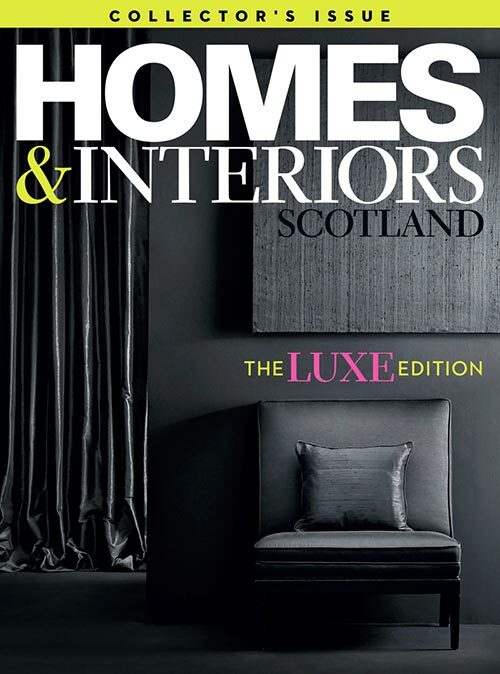 Edwin Heathcote, the architect, designer and critic who wrote the foreword to Scott’s book, describes them as ‘nostalgia pods’ and as works of ‘micro-architecture’. Scott’s images show how many of these structures have gradually decayed. Their once brightly painted, highly decorative wrought ironwork has been left to rust, their walls covered in graffiti, their interior space ransacked by bored teenagers. Yet their very public purpose is precisely what makes them still so special. 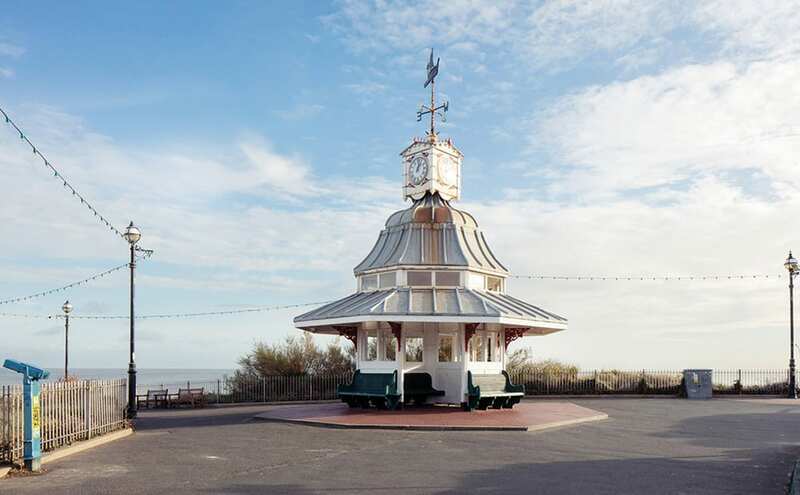 In a similar vein to old bandstands, disused railway ticket offices, piers and promenades, these semi-derelict Victorian gems are being repaired and restored and, more importantly, used again, as a new audience discovers them.